Out of a range of bottle bags, these bags are one of a kind that you cannot turn down once you get the glimpse of them. These bags look impressive for its beautiful colors and an elegant finishing touch. 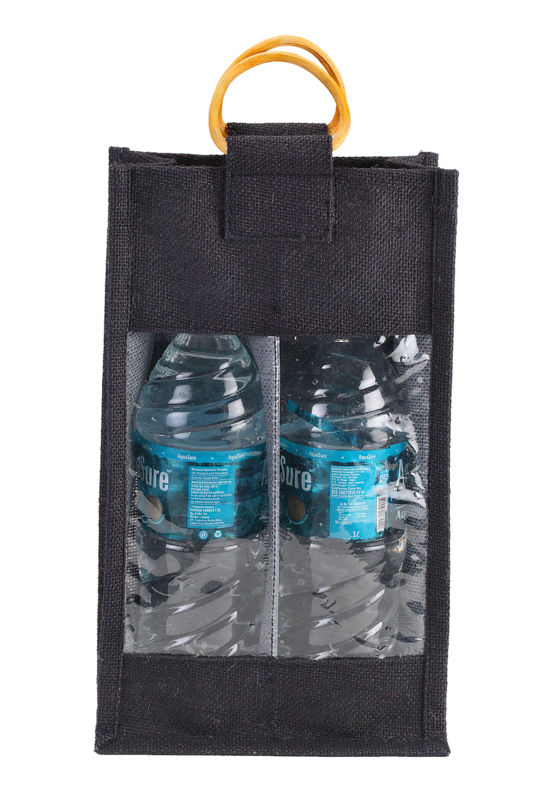 Available in red, white and black colors, these Jute bottle bags also have a beautiful transparent window in front that enables you gaze at your bottles present inside. 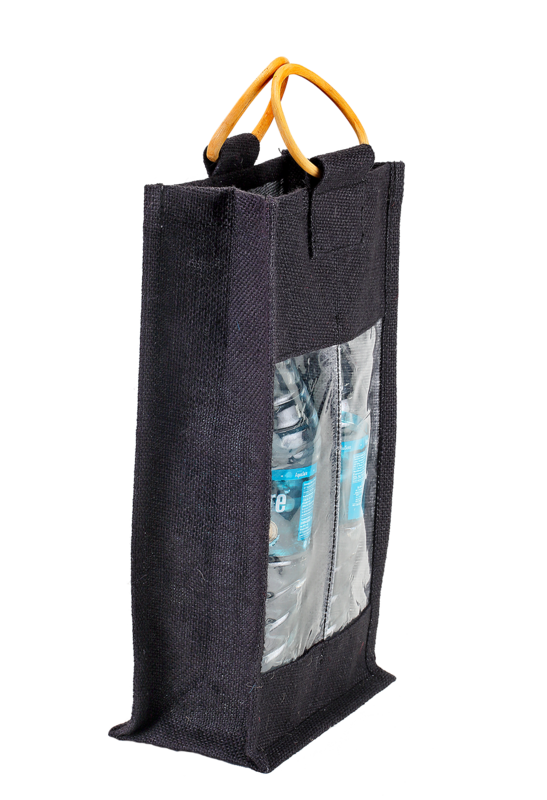 And with a hard bamboo handles, you can moreover get a firm grasp of the bags that is holding your bottles inside.